Nearly everyone knows what honeyis, but very few know what raw honey is, and even fewer know what the raw honey benefits are. Raw honey is honey in its purest form. 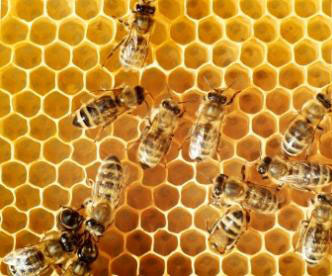 Raw honey is never micron filtered or heated above natural hive temperatures. One of the major benefits of raw honey is that it’s nature’s own multivitamin. Raw honey is a natural source of vitamin B1, B2, B3, B5, B6, and even antioxidant-rich vitamin C. It also contains minerals like magnesium, potassium, calcium, sodium chlorine, sulphur, and phosphate. So what is the difference between raw honey and the honey that can be purchased at the local supermarket? And if there are so many raw honey benefits, whys is not all honey raw honey? Nearly all honey purchased at the big box store is heated to some degree, filtered, and/or even pasteurized. Filtering honey with a micron filter will yield honey that has no air bubbles, has no particulate matter in suspension, and thus will be perfectly clear. The particles we are referring to are nearly always pollen, since almost all wax can be removed with a fine screen. The reason for removing large particles is that these can act as “seed crystals” for honey crystallization to occur. Thus, filtering can help prevent crystallization on the store shelf. Honey stored at room temperature will crystallize over time, but the process can be reversed without detriment to the product by heating the honey to as little as 98F degrees, depending on the type of honey. To filter honey, it must be heated so it becomes less viscous and easier to pump through the filter. The higher the temperature to less viscous the honey becomes. Pasteurization of honey requires it to be heated to as high as 160 degrees for a period of time, then cooled rapidly. When honey is excessively heated, micron filtered, and/or pasteurized, nearly all the beneficial components of honey are removed. One of the most important components of honey is pollen. The National Honey Board analyzed a selected group of nutrients and pollen. They found that micron filtering heated honey removes all the pollen from the end product, thus removing nearly all of its nutritional benefits. Scientific proof that micron filtered honey removes pollen was found in a study by the Food Safety News and the Palynology Research Laboratory at Texas A&M University. In the study, 60 honey products from supermarkets and grocery stores were tested and it was found that 76% contained no trace of pollen. All (100%) of the honey purchased at drug stores had no pollen. All (100%) of the honey tested from selected fast food restaurants had no pollen. This means that the vast majority of the honeys sold at the places where most people shop have no pollen and more limited nutritional benefit. Ironically, the USDA encourages honey packers to filter their honey. They even give higher grades to honey that is clear and pollen free. Interestingly enough, despite the USDA encouraging the ultra filtering of honey, the FDA specifies that honey needs to contain pollen to be considered honey. One of the problems with honey that contains no pollen is that it is very difficult to verify its quality, content, or origin without highly specialized equipment. It is common for foreign producers or exporters/importers to cut honey with various types of sugar syrups. The Texas A&M University has a portion of its Agriculture program devoted to the study of pollen in honey, also known as palynology. They participate in honey analysis on many scales to make sure honey is good. Raw Honey Benefits #1: Raw Honey has been shown to be an Anti-Bacterial, Anti-Viral, and Anti-Fungal substance. In this respect, it can be very beneficial to your immune system and may assist in a wide variety of common ailments. In digestive disturbances honey is of great value. Honey does not ferment in the stomach because, being an inverted sugar, it is easily absorbed and there is no danger of a bacterial invasion. The flavor of honey excites the appetite and helps digestion. The propoma of the ancients, made of honey, was a popular appetizer. Raw Honey Benefits #4: Honey has anti-cancer properties. Recent studies by Gribel and Pashinskii indicated that honey possessed moderate antitumor and pronounced anti-metastatic effects in five different strains of rat and mouse tumors. Furthermore, honey potentiated the antitumor activity of chemotherapeutic drugs such as 5-fluorouracil and cyclophosphamide. – Gribel, N.V., and Pashinskii, V.G. Antitumor properties of honey. Vopr. Onkol., 36:704-709, 1990. Daily consumption of honey raises blood levels of protective antioxidant compounds in humans, according to research presented at the 227th meeting of the American Chemical Society in Anaheim, CA, March 28, 2004. Biochemist Heidrun Gross and colleagues from the University of California, Davis, gave 25 study participants each about four tablespoons buckwheat honey daily for 29 days in addition to their regular diets, and drew blood samples at given intervals following honey consumption. A direct link was found between the subjects’ honey consumption and the level of polyphenolic antioxidants in their blood. For more information on raw honey benefits, please read Honey Health Benefits. If you are ready to reap the rewards of raw honey benefits, please go to our online store.